There’s something special about walking through the woods in winter, with fresh powder crunching underfoot and air so crisp you could almost snap it in two. And, there’s arguably no better place to experience the season in all of its frosty glory than in New England. 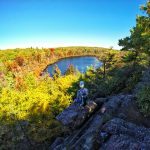 In thinking about the many dozens of hikes throughout this region, we’ve ditched the notorious, like the White and Green Mountains, in favor of some lesser-known trails in oft-forgotten Rhode Island and Connecticut, and picked out the ones that are absolutely spectacular this time of year. 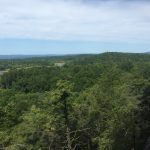 With 88 preserved acres, the Neutaconkanut Hill Conservancy has one prominent claim to fame: Within its borders sits the highest hill in Providence. While 296 feet above sea level may be laughable to some, the breathtaking views from its hilltop meadow most definitely aren’t—especially when covered with snow. 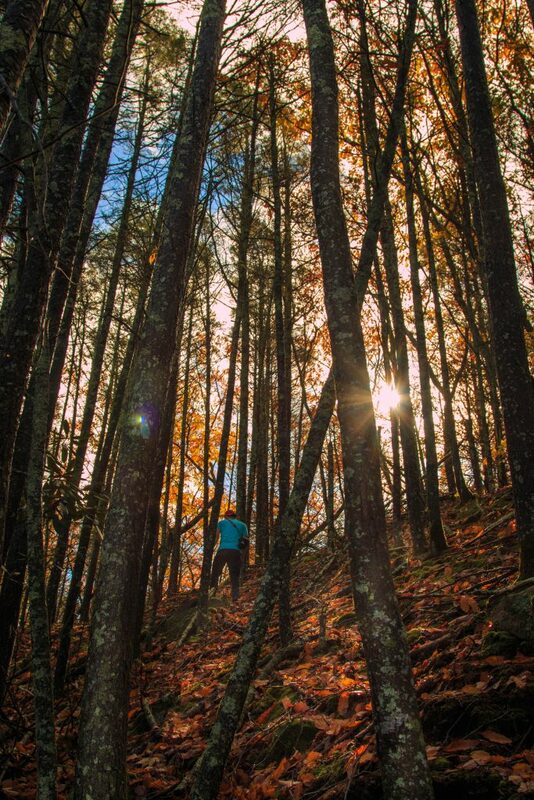 Take the 1.5-mile Pinnacle Trail for the best vistas. 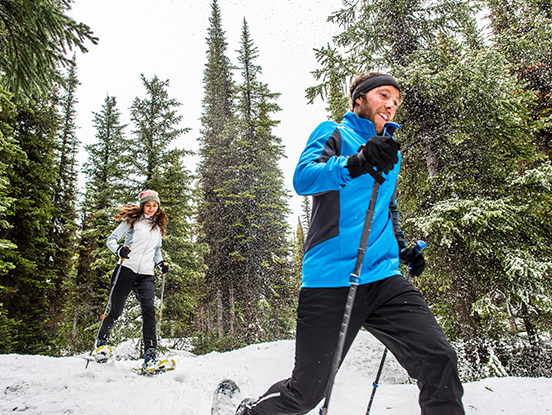 As the temperatures drop, sometimes the best way to warm up isn’t by a fire—it’s on a challenging day hike. The 5.7-mile hike around Ell and Long Ponds will most certainly get hearts pumping and test your endurance. The trails wind through large rocky outcrops, wetlands, and steep, wooded areas. Make sure to wear good hiking shoes and bring plenty of water. As one of five national wildlife refuges in Rhode Island, Ninigret National Wildlife Refuge offers 858 acres of diverse upland and wetland habitat for exploration. Formerly part of Charlestown Naval Auxiliary Landing Field, the area now offers a great opportunity for visitors to witness visual reminders of the Laurentide Ice Sheet, view more than 250 recorded bird species, and take in some spectacular vistas of Watchaug Pond. Even better? Just a few minutes away sits the Frosty Drew Nature Center and Observatory, where the public is invited year-round to discover the stars and planets in some of Rhode Island’s darkest skies. Viewings are on Friday evenings, and if you visit during the winter, there’s a good chance you’ll have the place to yourself. 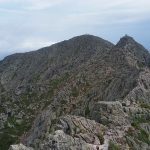 Did you know that Connecticut’s most northwestern corner is home to its tallest peak? 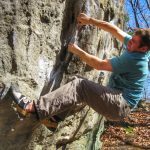 Bear Mountain is a favorite hike among Nutmeggers and hikers looking to tackle portions, if not all, of the Appalachian Trail. During the summer months, trails up to its summit often get clogged with hikers, and that’s if you’re lucky enough to get a parking spot at the trailhead. 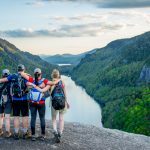 Hikers can choose from two trails that will get you to the top: Undermountain Trail and Lion’s Head. Both are moderately strenuous and require hikers to be willing to climb steep terrain. Located on the Hebron-Bolton town line, Gay City’s 1,569 acres offer explorers a chance to peek into the state’s history. The park’s actually named after a now-extinct mill town that once occupied the area. Today, old stone foundations, several cellar holes, and some crumbling tombstones offer a glimpse into this once-prosperous township. 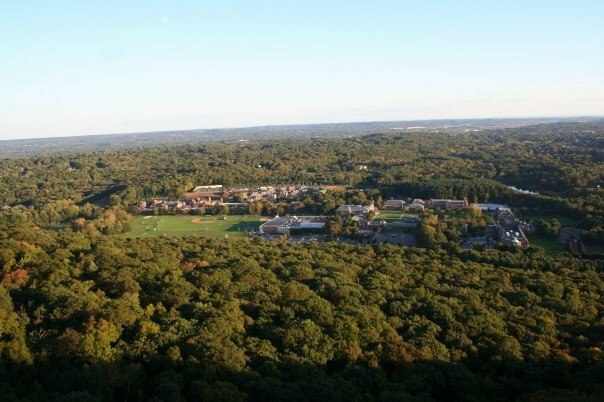 Two miles of mountaintop resembling a sleeping giant give this park its name and make it a distinguishing feature of Connecticut’s skyline. 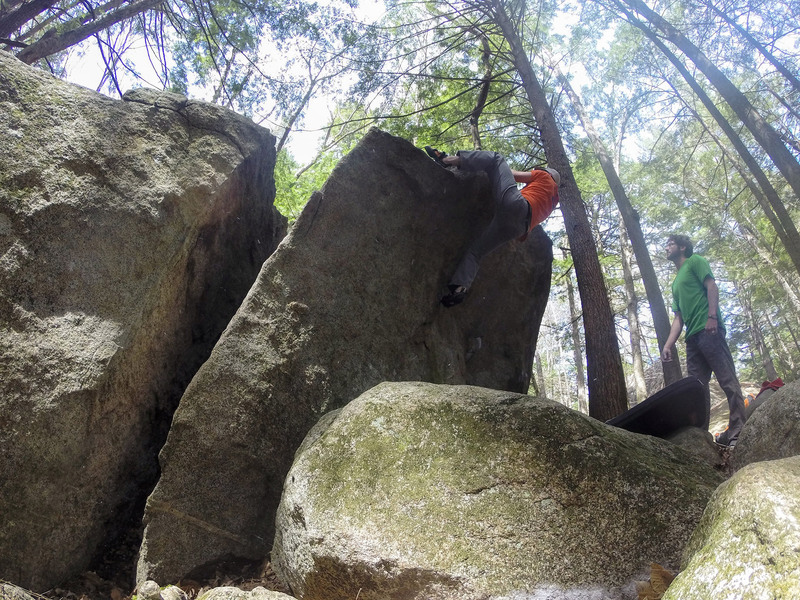 A 1.5-mile trail through dense forest leads to a stone observation tower on Mt. 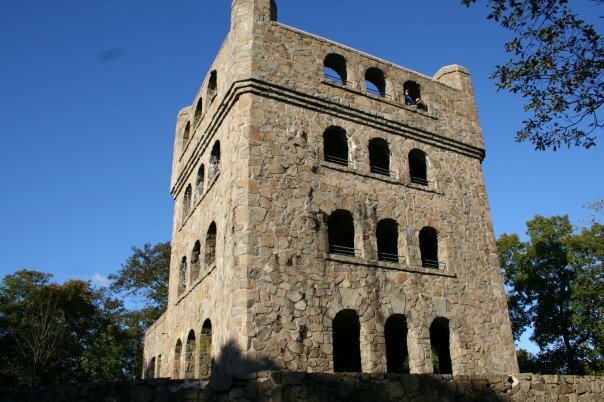 Carmel’s peak, where hikers can look out over Long Island Sound, parts of New Haven and Cheshire, and almost right down onto the campus of Quinnipiac University. 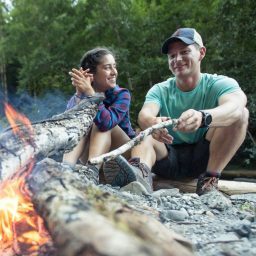 Matt and Hillary are award-winning writers and photographers from New England who spend more than 200 days a year on the road. Together, they founded There They Go, an adventure travel website that seeks to push the boundaries of traditional storytelling through compelling visuals and engaging narrative.